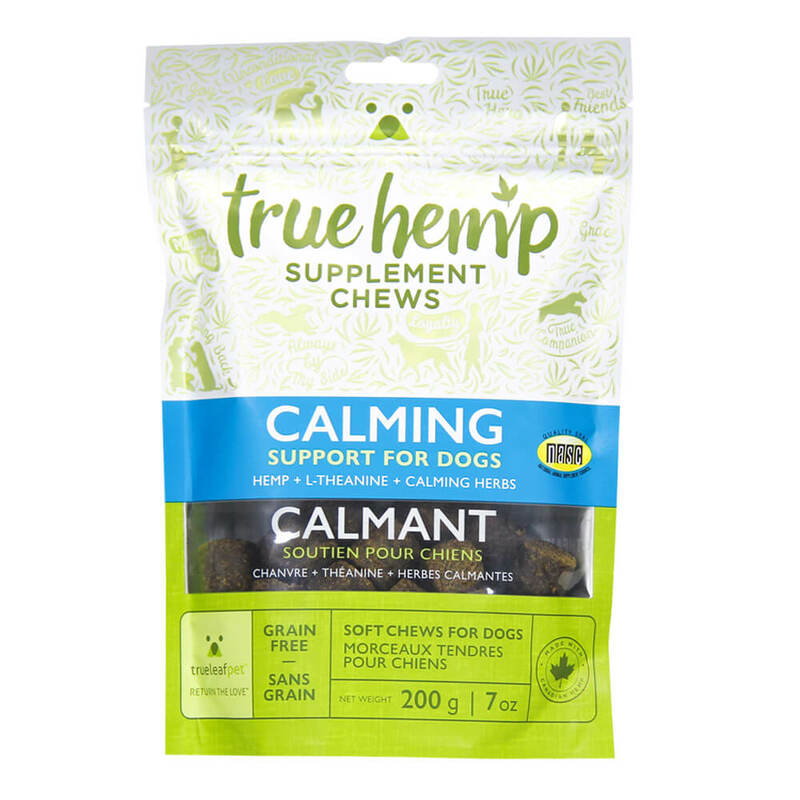 True Hemp Chews Calming Formula Dog Supplements are formulated to help reduce stress for your dog. During the course of a day, there can be many stressful situations that arise, including loud noises, separation anxiety, travel traumas and thunderstorms. True Hemp utilizes natural, plant-based calming ingredients including L-Theanine, an amino acid found in Green Tea that helps promote relaxation. These soft dog chews also contain Omega 3 and Omega 6 Fatty Acids for a healthy pet. The chews are easy to feed and dogs will enjoy the real salmon flavor. True Hemp Chews are a product of Canada.